We knew that the Avengers 4: Endgame runtime would be long, but we all probably thought the rumoured three hour length would be eventually chopped down to something a little more manageable… but oh no, it appears that Avengers: Endgame really is going to be three hours long! Directors the Russo Brothers have revealed their intention to make the longest MCU movie ever (by some distance) after a positive response from test audiences to the Marvel movie’s bumper runtime. Speaking to Collider, Joe Russo says: “We’re still at the three-hour mark,” before expanding that, “I think the studio is down with what the best story is.” That’s a big enough hint to suggest that Marvel Studios is fully on-board with Avengers: Endgame closing in on three hours. Yet, even so, things could still be cut down and nothing is set in stone when it comes to the Endgame runtime just yet. “We’re still doing work to it. 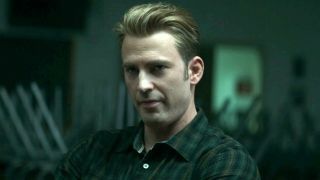 We’re not done with it,” Russo explains, perhaps mindful of keeping some distance from frenzied fans who have their hearts set on as much Endgame as possible. My suggestion? Stock up on popcorn. It may take a good few hours to get there so why not take a shortcut and see what the cast have to say about the Avengers 4 ending?